One common problem during and after a divorce is home relocation. When a custodial parent moves to a new location with minor children, it can impact the visitation/parenting rights of the non-custodial parent. If you are seeking to move to a new location or need help opposing a move by a custodial parent, the experienced family law attorneys at Mavrides Law can assist you in creating a strategy to support, limit or preclude the effort to relocate with the children. 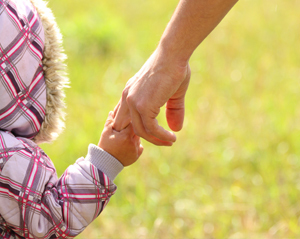 For an initial consultation about a child custody or visitation matter, contact Mavrides Law. Under Massachusetts law, a parent seeking to move out of state with minor children must obtain the consent of the other parent or obtain a court order. Before you move to a new location with minor children, consult an attorney. The provisions of your parenting plan or divorce order may prohibit your move if the move would significantly impact the other parent's parenting time. How Will the Judge Rule in My Case? Before your case gets to the point where it comes before a judge, we will take time to determine if an amicable and creative resolution can be obtained through negotiation and/or mediation. If the dispute cannot be resolved by agreement of the parties, then the judge hearing your case will engage in an in-depth legal analysis to determine whether it is in a child's best interests to allow a parent to take the child with him/her or whether the child should stay in Massachusetts with the other parent. Another important consideration is the change of jurisdiction that could occur once a child is allowed to move with a parent to another state or country. Any future issues regarding your child, such as child support, parenting time and custody, may have to be litigated outside of Massachusetts, with likely increased costs to the parent remaining in Massachusetts. Only a fully informed client can avoid the difficulties of unintended consequences of a decision. At Mavrides Law, our goal is to assist clients so that they are able to make informed decisions are fully understood. Since the court may consider a wide range of matters in a home relocation dispute, your attorney's ability to effectively communicate the advantages or disadvantages of a move is significant. You want an experienced family law attorney who can advocate effectively on your behalf. Attorney Marcia Mavrides has been practicing family law for more than 30 years. As a skilled negotiator and trial lawyer, she will vigorously defend your parental rights. To speak with a lawyer about a move-away dispute, contact Mavrides Law in Quincy or Boston, Massachusetts. To schedule an initial consultation, call 617-723-9900 or contact the firm by email.